When I saw the ebook Do I Dare Disturb the Universe? by Madeleine L'Engle on Amazon.com, I had to have it. 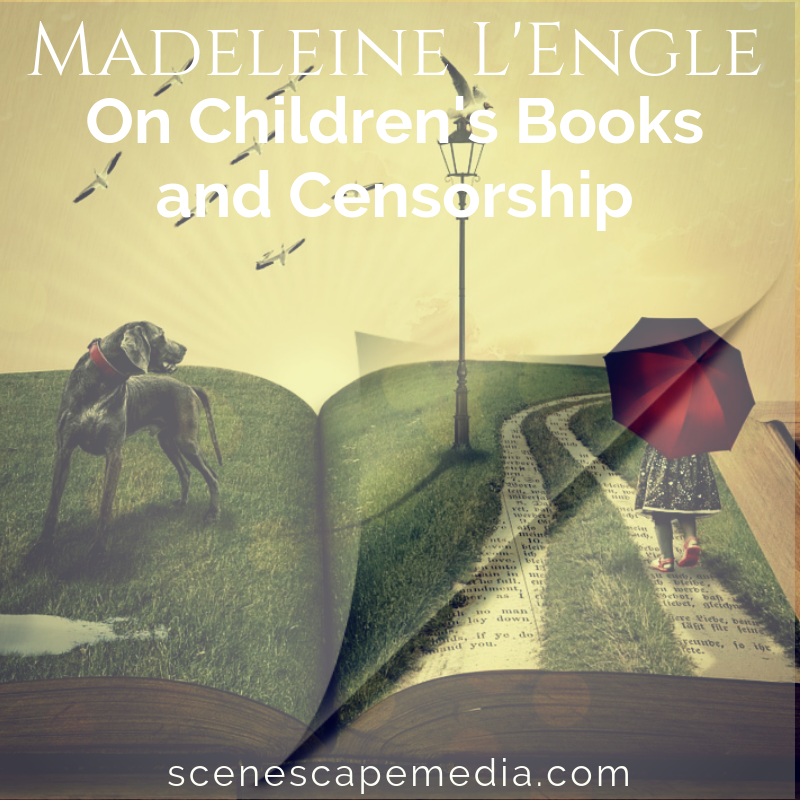 It contains the text of a Madeleine L'Engle speech about different types of censorship and the responsibility of writers of children's literature to ask good questions and be faithful to the truth of things. As the author of respected and beloved children’s and young adult books such as A Wrinkle in Time, A Wind in the Door, A Swiftly Tilting Planet, and An Acceptable Time, her perspective on these topics is invaluable. In spite of all the negative connotations of the word “censor”, L’Engle proposes that we all censor to some degree, just by choosing one book over another. But we are choosing for ourselves and our families, not for the entire community, not attempting to use the police power of the state to control what others have access to. I can’t imagine not agreeing with this—we all make judgments and choices based on our knowledge, experiences, and sincerely held beliefs. Inclusion of some things often mean the exclusion of others. This can be as simple as a preference or as essential as your core values. In any case, we all want to enjoy the freedom of making these choices, including what we and our children should read. The problems begin when we want to use intimidation, extortion, and threats to keep others from exercising their judgment about what is and isn’t a good book. Books are important for so many reasons, not the least of which is that they give us the opportunity to explore new experiences and ideas without leaving the safety of home, or the comfort and counsel of our friends and family. Books ask us questions we never knew needed asking, and quite often they leave us without any answers. Ain't that the way it's supposed to be? Included in Do I Dare Disturb the Universe? is her introduction to A Wrinkle in Time, giving us a glimpse into the ideas behind the story, and surprising me with the number of rejection slips she received from publishers who didn't understand the story, or felt that it was too hard for children. L’Engle points out the obvious: When have children's stories ever been just sunshine and puppies? There has always been death and pain, good vs. evil, and betrayal and hardship in children's literature. Hansel and Gretel anyone? Through stories we can introduce and prepare our children for realities they've yet to experience, or to offer perspective and comfort to them when they have had their first taste of bitter tears. Authors of children’s books have a tremendous responsibility to tell the truth, but they also must do so in a way appropriate to their audience. Parents place an enormous amount of trust in kidlit authors to take their role in the lives of children seriously. Whether or not that trust is deserved is a question best answered on a book-by-book basis. The e-book finishes with a scanned copy of the original manuscript of A Wrinkle in Time. It was interesting to try to understand the word choices and edits that mark the pages. Little is more fascinating to me than the writing process, and it was a pleasure to see a bit of that from the author of a much beloved children’s book. If you are interested in the topic of crafting or choosing children’s literature, or the various shades of censorship, Do I Dare Disturb the Universe? is a must read. and the responsibility of kidlit and YA authors?